More satisfied customers. More engaged employees. You’ve hired the best frontline associates. Now let your investment—and their talent—reach its full potential by empowering and equipping them with the right tools to create memorable customer experiences. In return, you’ll foster authentic advocacy for your company with customers sharing positive word of mouth and social media comments, along with higher satisfaction scores. Bottom line: The customer care solution not only influences perception, it boosts buying behavior. Hallmark’s customer care solution gives you a quick, easy and tangible way to systematize the creation of a surprise-and-delight experience. Associates using the program tell us they’ve begun to listen differently…more empathetically. They realize that they can and DO make a positive difference in people’s lives. That’s a powerful employee motivator. 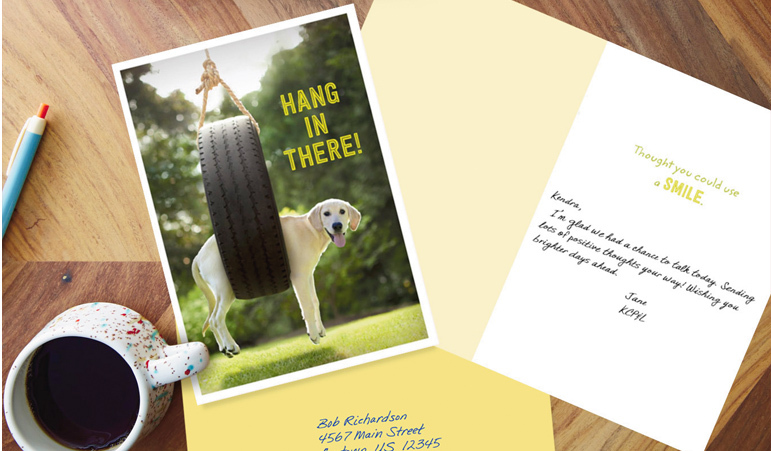 Hallmark cards deliver results that impact your business. Our customer care solution works across industries, from financial services and insurance companies to utilities and retail. Hallmark’s customer care solution is a simple concept. 1. In less than a minute, your frontline associates can go online to select and personalize Hallmark cards with either their own words or a pre-written message. 2. The cards are “signed” with the associate’s name using Hallmark’s proprietary digital handwriting and are automatically printed, addressed, stamped and mailed. 3. Results are measured through qualitative and quantitative key performance indicators gauging customer and employee engagement. Connect with the sincerity and authenticity only a Hallmark card can provide. Developed with the input of frontline associates, our customer care solution offers over 40 greeting cards, covering 17 different business and life event sending situations. We also feature 15 Spanish-language cards for six of the most popular occasions. To further boost your brand, we can custom design your cards so you can connect with your customers in a truly unique way. 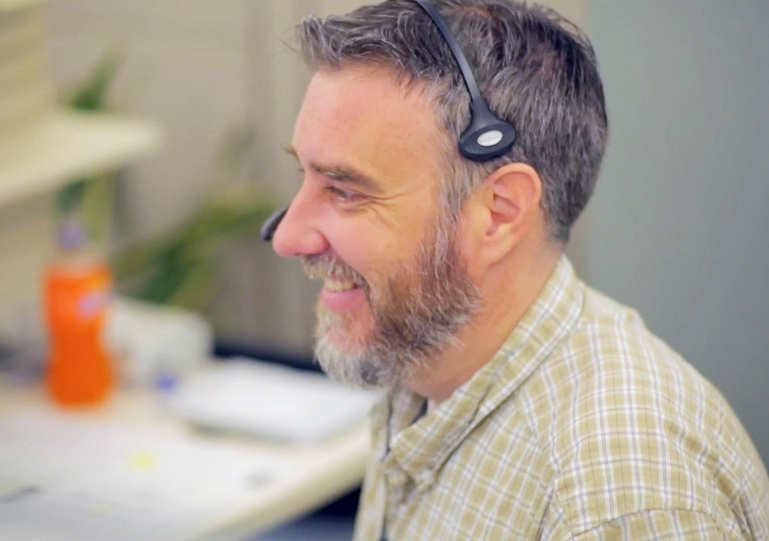 The customer care program allows your frontline associates to connect with personalized sincerity and caring. They can quickly choose a message created by Hallmark writers, tailor that message or compose their own with specific details about that customer interaction. The end result is a card that lets customers know they matter, are heard and are valued by your business. Our clients have found that when a message specifically acknowledges a customer’s situation that was discussed during the phone call, it really hits home. Customers so appreciate that human touch that they often call back to thank the associate. Others have even photographed their card, posting it to social media along with words of praise for the company. 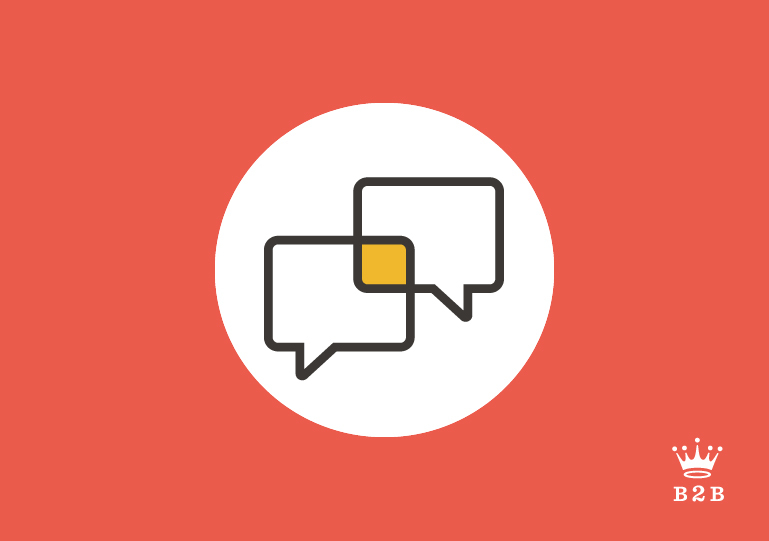 CREATE SINCERE CONNECTIONS IN THREE CLICKS. Your frontline associates’ customer interactions depend on efficient time use. With the customer care solution, they can select, personalize and send a card in as little as a minute. The program also allows them to designate favorites and schedule a card to be mailed on a future date. It’s quick, convenient and rewarding. Your program can be ready to roll out in just four weeks…complete with training and promotional materials. Hallmark’s customer care solution is getting rave reviews and results, even winning the CUSTOMER Product of the Year Award. Let’s put it to work building and strengthening relationships for your company.